This late-intermediate or early-advanced cello technique book presents studies and variations on broken thirds up a single string. 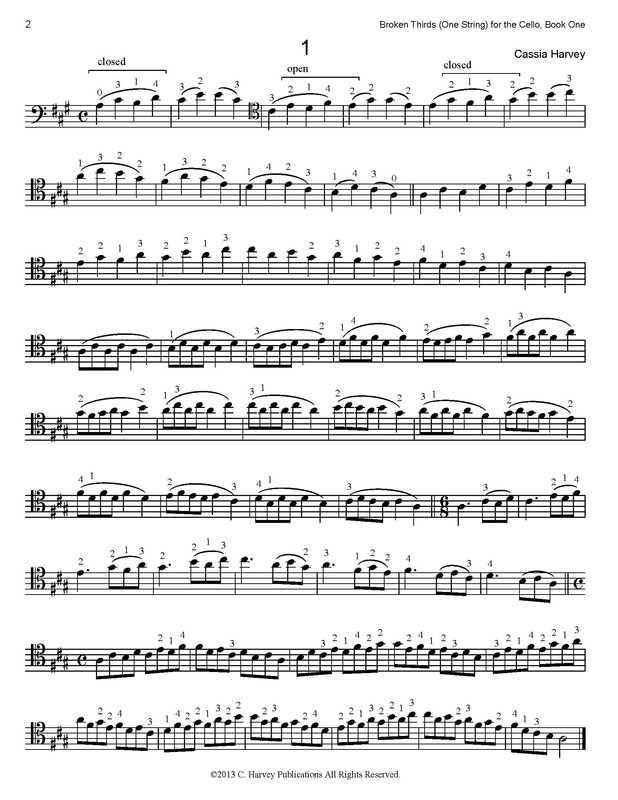 With exercises on each of the four strings, the cellist can improve on their shifting technique and agility in first through ninth positions. Broken thirds have long been a staple of cello study, and in this book they are explored in a way that is most relevant to the demands of modern cello playing. This book works well along with Serial Shifting; Exercises for the Cello, and Scale Studies for the Third Octave, for the Cello, Book One.